Every once in a blue moon I’ll come up with something brilliant…and a few weeks ago was that day. I remember reading in a parenting magazine about making egg white waffles, and after talking to my sister about it (she saw the same thing), I filed it away somewhere in my sleep-deprived baby brain. 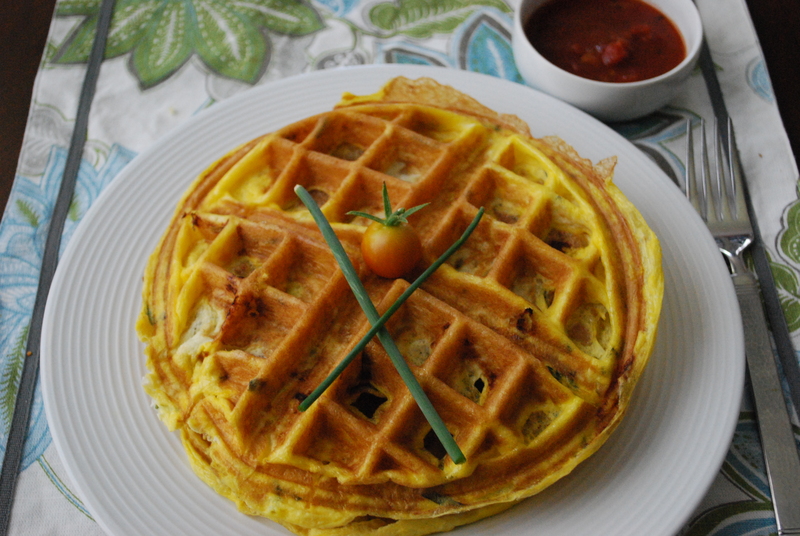 It wasn’t until I was making waffles using Namaste’s Waffle & Pancake Mix, that I decided to make egg waffles. 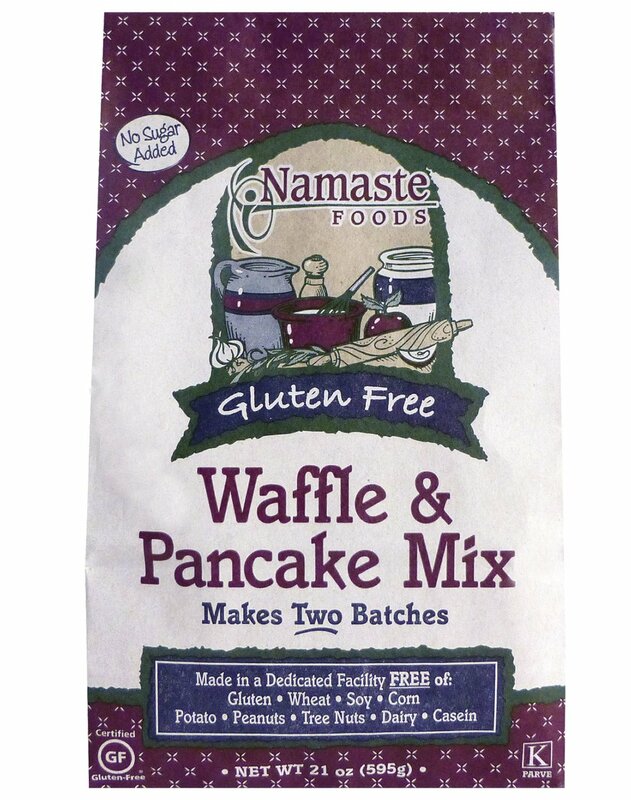 We’ll occasionally use this mix when I don’t feel like making Paleo waffles, and while the mix is not grain-free, it is gluten, wheat, soy, dairy, sugar, nut, potato, corn AND casein-free. Josh will usually doctor the mix up with some almond milk, brown sugar, vanilla and cinnamon, and they turn out divine! We like to make them every now and then and since my parents were in town for Emma’s birthday, we whipped up a quick batch before church. So, after the waffle iron was turned off, it finally dawned on me to make egg waffles (with the yolks). This mama was not about to pass up on all the benefits of egg yolks. A Belgium waffle maker is definitely a luxury, but Josh has had one since we got together, and after ruining his, we decided to buy another (apparently Costco sells the double one!). I fired that bad boy back up, whisked 3 eggs in a bowl and started getting creative with what I put inside. It was fun to grab items from the garden along with some pre-cooked ground meat that I had in the fridge. I’ve lately taken to keeping some seasoned ground beef/sausage in the fridge so I can quickly add it to sauce, eggs, or use it for tacos. In this instance it definitely came in handy. The great thing about these waffles is that you can add whatever you like-the sky’s the limit! 1. Turn on waffle iron and wait until it beeps that it’s ready. 2. Whisk eggs in a bowl. 3. Sprinkle with salt and pepper to taste and mix. 4. Add veggies, meat, or anything else you want to the eggs and combine. 5. Pour batter into waffle iron and cook until the machine beeps. 6. Pull off the iron and serve with salsa, if desired. Get creative with this fella and let me know what combinations you come up with (you could add cheese if you tolerate dairy). I think this is a fun way to spruce up eggs if you tend to get tired of the same ole same, like we do. Do you own a waffle maker? Do you eat the whole egg and eat nothing but the egg? I am so glad you just posted this, I must try these. Capriana won’t eat boiled eggs, and without a kitchen right now I needed another way to make eggs. Can’t wait to see how the kids love these! Thanks!